“Not far from Hobart’s Salamanca Market, with its vendors hawking the usual arts and crafts, ceramicist Jane Bamford is creating something extraordinary. “Bamford has just commenced her three-month Art/Science residency at the University of Tasmania’s School of Creative Arts. The white walls of her orderly studio at the Hunter Street campus are decorated with maps of the nearby Derwent River, as well as newspaper articles profiling the spotted handfish and its underwater realm. 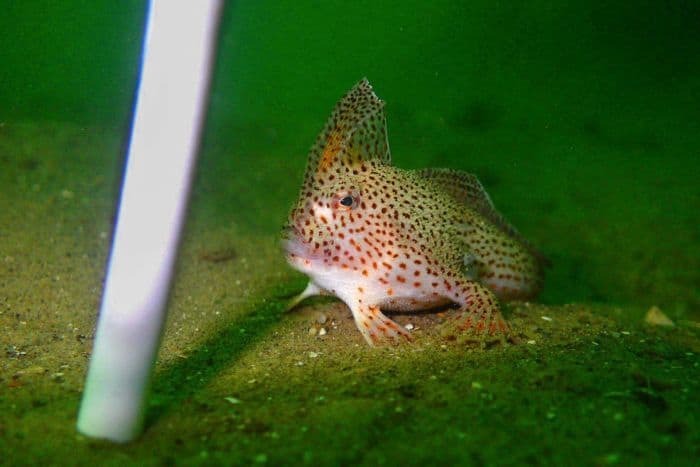 Bamford, who grew up south of Hobart in Kingston and spent much of her youth exploring Tasmania’s east coast, is working with scientists from CSIRO to painstakingly handcraft a key piece of habitat for this threatened species.